AIDF is pleased to announce the shortlisted finalist for its "Innovator of the Year Award". We received a large number of nominations recognising inspiring leadership, creative problem solving and innovative approaches to aid and development. The judges of the “Innovator of the Year Award” include Karin Kallander, Senior Research Advisor at Malaria Consortium, Catherine Wiesner, Regional Refugee Coordinator at UNHCR and will be presented by Anne Macharia, Current Affairs and Environmental Reporter, KU.TV. According to the judges, equity, inclusion and poverty alleviation are paramount; therefore an award-winning nomination needs to consider factors such as affordability, feasibility, and acceptability as well as the impact among intended users. The winner of the award will be announced on 28 February 2018 at the 3rd annual Aid & Development Africa Summit in Nairobi, Kenya. For more information, click here. Regina was nominated four times which is a testament to the innovative work of the National AIDS Contr ol Council. The National AIDS Control Council (NACC) aims to coordinate stakeholders in the multi-sectoral response to HIV and AIDS in Kenya. To realise this, NACC has developed a Service Charter to communicate its commitment to provide quality services to all stakeholders. NACC has a range of engagement initiatives to raise awareness of HIV and AIDS. NACC also created its ‘Maisha Reporting Tool’ that aims to get all Ministries, Departments and Agencies actively engaged in developing and implementing policies to tackle the prevention and management of HIV and AIDS in Kenya. Regina has been nominated because of her strategic leadership in the Department of HIV Investment and resource mobilization at the NACC . YONECO is a non-governmental organization that is committed to empowering youth, women and children; promoting good health, human rights and democracy; adapting and mitigating effects of climate change; and conducting research for evidence based programming and advocacy. It provides training on life skills, leadership and entrepreneurship; civic education on key issues such as HIV/AIDS and gender; social and economic support services for abused and victimised women and children; support to those affected by HIV/AIDS; networking and collaboration services for women and children; and encourages youth and women participation in democratisation and socio-economic development. Mac Bain has been nominated because of his dynamic leadership that has improved the lives of youth, women and children in Malawi. Tulaa is a mobile commerce solution built for rural Africa. It combines mobile technology and last mile agent networks to connect agri-input suppliers, financial service providers and commod ity buyers to smallholder farmers with the aim of lowering the cost and risk to do business with farmers. Tulaa brings together input suppliers, financial institutions and farmers in a virtual marketplace. Hillary has been nominated because of her innovative concept to lower the cost and risk for businesses to transact with smallholder farmers. The Peace Corps of Nigeria (PCN), accorded a special consultative status by the United Nations’ Economic and Social Council (ECOSOC), is a non-governmental and uniformed youth organization. 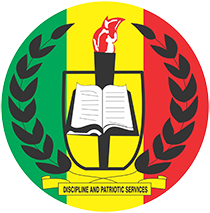 PCN aims to train, educate and re-orientate the youths on their future leadership roles in the society, the art of nation building, respect for constituted authorities, the rule of law and Democratic Principle as well as imparting a high sense of citizenship and good leadership in the youths. Dr Dickson has been nominated because of his contributions towards Youth Development and Empowerment in Nigeria. 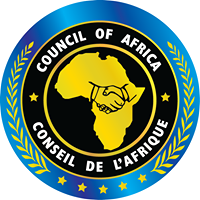 Council of Africa is an international development organization dedicated to increasing the scale and effectiveness of impact investing in Africa, promoting enterprise driven growth and liberty centred development, and fostering socioeconomic transformations and integration of Africa into a broad, prosperous and sustainable continental economy. Job has been nominated because of his role as founder and President of the Council of Africa and the sustainable development achievements of his organisation. Action Africa Help International (AAH-I) is a regional African-led non-governmental organisation that supports livelihood-challenged communities in East and Southern A frica to sustainably improve their well-being and standard of living. With Country Programmes in South Sudan, Uganda, Zambia, Somalia, and Kenya, AAH-I has over 20 years experience working with communities in conflict and post-conflict situations, including refugees, internally displaced people and host communities. More recently AAH-I has expanded its activities to work with other marginalised communities including pastoralists and urban slum dwellers. AAH-I works closely with communities to identify and develop programmes that promote ownership, relevance and sustainability. Kamau has been nominated because of his role in encouraging refugees to become independent by creating programmes where they can use existing skills or learn new ones. mHealth provides a critical needed link between public and private entities to support, improve, optimize and sustain provision quality health services in Kenya. mHealth Ken ya has been a local implementing partner for the CDC Foundation in the country, overseeing and managing mobile technology projects in the health sector. Its key focuses are project implementation, mobile application development, business activities, consultancy and monitoring and evaluation. Dr Cathy has been nominated because of her role in optimising and sustaining quality health services in Kenya. B Medical Systems is a pioneer in the medical equipment industry and first provided a solution to the problems in safely storing and transporting vaccines around the world. They have become well-known for their expertise in Cold Chain and Blood Safety and are commended for their great work saving lives in developing nations and setting standards in developed nations. Luc has been nominated due to his role in improving health and saving lives in developing nations. Apps & Girls is a Tanzanian registered social enterprise that was founded in July, 2013. Apps & Girls seeks to bridge the tech gender gap by providing quality coding training (web programming, mobile app development game development and robotics) and entrepreneurship skills to girls in secondary schools via coding clubs, and to university level students at academic institutions. Apps and Girls also organizes holiday events such as hackathons,bootcamps, and competitions and provides internships opportunities. Apps & Girls also provides high class mentorship (from local and international mentors) to girls to create tech startups, connect them with jobs and internships and a 3 year incubation to emerging young female TECH entrepreneurs and use our network to promote their work to customers, partners and potential funding opportunities. Carolyne has been nominated because of her role teaching girls technology and entrepreneurship skills and encouraging them to find digital solutions to the problems they face in their communities. African Initiatives for Relief and Development (AIRD) is a non-political, non-religious and non-profit making International NGO currently working in nine sub-Saharan African countries. AIRD’s objective is to offer operational support, including but not limited to: supply chain, logistics, construction, infrastructure, environment, livelihoods and WASH in partnership with relief and development organizations that focus on disaster-affected and development oriented areas. Mary has been nominated because of her role in empowering women and girls in refugee camps through vocational training and education. Young Leaders Entrepreneurs (YLE) aims to coach young Tunisians in the field of leadership and help spread entrepreneurial spirit in schools and colleges. Motivating aspiring young Tunisian leaders and empower their abilities and their potentials through intensive workshops, scientific exhibitions and entrepreneurial businesses. YLE supports projects that focus on improving lives and providing the opportunity to be independent through leadership and entrepreneurship. YLE brings together youth from across Tunisia to meet, share knowledge, exchange ideas and broaden their professional network. Ahlem has been nominated because of her role empowering and inspiring youths in Tunisia, allowing them embrace their identity and explore opportunities through social entrepreneurship and peer to peer mentorship. Computers for Schools Kenya (CFSK) is a charitable non-governmental organisation supporting the establishment of an information-rich Kenyan Society actively participating in sustainable development. CFSK aims to achieve this by facilitating the development of information and communication technology infrastructure and capacity in educational and training institutions as well as community information access and resource access centres. Dr Thomas has been nominated because of his role in helping schools and the community access and use ICT sustainably, CFSK has installed over 30,000 computers in schools since the year 2008. The Central Monitoring and Evaluation Department is responsible for monitoring and evaluation of the progress made towards the achievement of the goals and objectives of the Malawi Health Sector. In addition, the Department aims at providing high quality information for evidence based decision making, planning and management in the health sector. Isaac has been nominated because of his role in Malawi’s health improvement. Scars to Stars is an orphans to orphans family. Founded on Christian principles, the foundation comprises of individuals aged 15-35 years who have lost both parents. The foundation is involved in numerous motivational articles and speaks regularly to diverse industry groups on leadership and personal success topics. Sonnie has been nominated because of her role in empowering orphans and providing them with an education. Africa Great Lakes Networking Foundation aims to promote scalable methods in creativity and educational programs with regional and global partners while promoting community skills development for women, youths and persons with disability to enhance and increase youth employability and empowerment. Kombi is nominated because her organisation has introduced new ways of thinking and has engaged women, youth and disabled individuals in innovative activities that enable them to explore their talents. OneAfricanChild Foundation for Creative Learning is a non-governmental organization with the motive of supporting disadvantaged community children with leadership skills and resources necessary for them to become proactive agents of change in their local communities. By focusing on Global Citizenship and Peacebuilding Education (GCED), the organisation serves to transfer skills in ethical leadership, creativity and innovation to learners, creating free spaces for self-expression, imagination and implementation to lessons learnt to address local issues. The organization is 100% youth-led, working with young leaders from the community to empower the community through humanitarian efforts. The name itself was borne out of the idea that we as Africans can create positive change by taking responsibility for One African Child at a time. Bonventure has been nominated due to his compassion and dedication to volunteering, Human Rights, and the well being of others. Dulas’ thirty year history has seen the company pioneer innovative uses of solar, hydro and wind renewable energy in the UK and across the globe. Dulas’ projects have taken them from Austria to Zambia in a bid to provide real solutions to the humanitarian sector, the public and commercial sector. Dulas also remains dedicated to improving the lives of people around the world by providing access to renewable energy and sustainable technology. David and Jo have been nominated because of their dedication to sustainable development and their support of the humanitarian sector. African Trade Centre (ATC) is a trade and investment promotion agency committed fully to promoting, foreign and local direct investment into the African economy, the optimal utilisation of local content, facilitation of regional trade integration and the export and acceptance of African made goods in the international market. Their services include sourcing and providing financial support and assistance to Small and Medium Enterprises. Prince has been nominated because of his undying passion for the development of and utilisation of locally made products and services as a key strategy to stimulating local economy in Africa. Imerys draws on its knowledge of applications, scientific expertise and technological know-how to offer solutions beneficiating its mineral resources, produce synthetic minerals and develop formulations. Imerys contributes essential properties to customers’ products and performance, such as refractoriness, hardness, conductivity, opacity, durability, purity, lightness, filtration, absorption and repellency. David has been nominated because of his commitment to sustainable development. AID: Tech provide enterprise level solutions to international NGOs, governments and corporations to help them tackle some of most entrenched issues in their fields. By leveraging Blockchain technology, AID:Tech brings social and financial inclusion to the world’s underserved populations by offering innovative solutions to an international audience. They were the first company in the world to successfully deliver aid to Syrian refugees completely transparently using Blockchain technology.